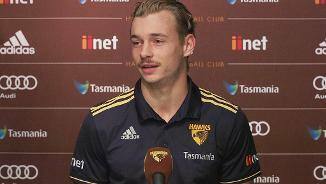 The tough young midfielder struggled initially when he was unveiled at AFL level between rounds six and nine, but was a different player when recalled later in the season. 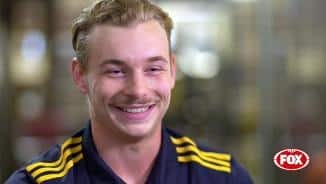 In consecutive weeks, he stepped around Michael Hurley to kick the sealer against Essendon and then spun out of an oncoming Joel Selwood shirtfront to set up a clutch goal against Geelong. 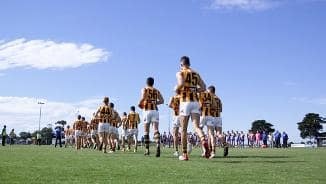 Smart and creative with ball in hand, he shapes as a long-term prospect for the Hawks and is already a cult hero. Player honours: NAB AFL Rising Star Nominee 2018. 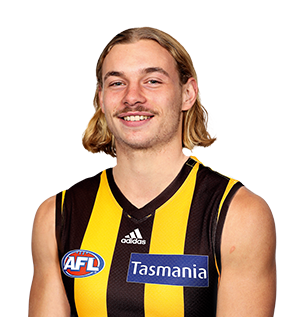 Draft history: 2017 NAB AFL Draft 3rd round selection (Hawthorn) No. 45 overall.